24/7 | Open | All Welcome SkyRealms Pack Link (For Launcher): http://www.technicpack.net/api/modpack/skyrealms SkyRealms Pack Page: http://www.technicpack.net/modpack/details/skyrealms.529603 Official Pack Website: www.skyrealms.co.uk Official Network Website: www.modrealms.net Official Server IP: sky.modrealms.net @ModRealms SPHAX SkyRealms Resource Pack: *MOD edit: NO ADFLY* Assign at least 2GB of RAM before you launch the pack. 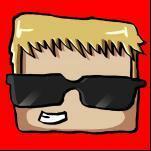 Hey guys i did everything on the forums i could but still no Bteam mobs! Hey everyone! I just started a new channel on youtube, and im posting a new attack of the b-team lp series. Here me and my friends build, explore and try out mods! As I have noticed youtube is very hard to get people to find you, even if you have good content. So that lead me here in hope of making some new friends and pushing my channel a little further. Please dont hate as this is just a way to get my channel out there, and theres probably people that like looking at Lets plays! So if you enjoy, please leave a like and subscribe! That is what motivates me and makes me do videos. Remember to gove constructive feedback aswell. Thankz. Channel: http://m.youtube.com/user/LYTisBOSS A cool episode of the series: http://m.youtube.com/watch?v=mskSa7ey4DY Hope you enjoy!